What is the worth of a peso? How much would one be worth to you? A peso is not worth much to most people but there is one in particular that is worth a lot to me. When I was young my family and I visited an old Spanish mission in Arizona. There were a lot of coins in the fountain. Many of the coins were pennies, nickels, and dimes; all glittered and sparkled in the sunshine and through the water. But some of the coins were different, some were from Mexico, which was not unexpected because we no more than an hour from the Mexican border. I liked one of the pesos and took it. I remember looking at it in the car on the way home. Within the next couple days my parents discovered I had the coin and asked where I got it. I told them I had taken it from the fountain. I guess I knew what I had done was wrong because I remember hiding the coin from my parents but it also did not seem like a big deal. However, my father sat down with me and had me send the coin back to the director of the mission. Sometime later I received a letter from the director of the mission. In the letter he thanked me for my honesty in returning the coin. Within the envelope and in addition to the letter he included a few coins – including the one I returned – from around the world that had been tossed into that fountain. I was rewarded for my honesty (or at least the honesty of my parents). This was the start of my small collection of coins from around the world. What is the worth of this coin to me? It is worth a lesson of the importance of honesty. It was a powerful lesson at the time and still is. The Lord blesses and loves those with honest hearts: “Blessed is the man unto whom the Lord imputeth not iniquity, and in whose spirit there is no guile.” (Psalm 32:2). Jesus was heartened (and still is) by those who were without guile and lies, in part because He faced so many who were full of deceit: “Jesus saw Nathanael coming to him, and saith of him, Behold an Israelite indeed, in whom is no guile!” (John 1:47). This was a man to be trusted! This was a pure man. Jesus loves the pure in heart. Honesty is a building block of purity. I love this description of the honest in heart: “But that on the good ground are they, which in an honest and good heart, having heard the word, keep it, and bring forth fruit with patience” (Luke 8:15). The honest are like good gardeners who watch with patience until their efforts bring forth good fruit. Honest hearts are good hearts; honesty and integrity imply a lack of spiritual cardiac disease. For those who do suffer from spiritual cardiac disease, there is hope – the Lord promises a heart transplant to those who need it: “A new heart also will I give you, and a new spirit will I put within you: and I will take away the stony heart out of your flesh, and I will give you an heart of flesh” (Ezekial 36:26). Continued honesty and integrity bring the Spirit, which serves as anti-rejection medicine for this new heart. The Lord expects His people to be honest and upright in their dealings with Him, others, and themselves. Of one group of righteous people in the Book of Mormon it is written: “And they were among the people of Nephi, and also numbered among the people who were of the church of God. And they were also distinguished for their zeal towards God, and also towards men; for they were perfectly honest and upright in all things; and they were firm in the faith of Christ, even unto the end” (Alma 27:27). These were the people of Anti-Nephi-Lehi, those whom were converted by the Holy Spirit through the preaching of the sons of Mosiah, rebellious and wicked youth turned righteous and powerful missionaries to the Lamanites. So righteous were these new church members that they were described as “perfectly honest…even unto the end.” They lived their lives in righteousness and holiness because they were perfectly honest. “I wish to speak to you frankly about being honest. Honesty is a moral compass to guide us in our lives. You young men are under great pressure to learn the technology that is expanding and will continue to expand so rapidly. However, the tremendous push to excel in secular learning sometimes tempts people to compromise that which is more important—their honesty and integrity.Cheating in school is a form of self-deception. We go to school to learn. We cheat ourselves when we coast on the efforts and scholarship of someone else. The young, lanky medical student who challenged the cheaters was J Ballard Washburn, who became a respected physician and in later years received special recognition from the Utah Medical Association for his outstanding service as a medical doctor. He also served as a General Authority and is now the president of the Las Vegas Nevada Temple.” (Ensign, Nov. 1996). What courage that man had to stand up to his classmates and demand their honesty! What integrity and honor! There were blessings because of this honesty – more medical students graduated in that class than previous classes had graduated. Without cheating, the students had to work harder, which meant they learned more and could do better. The world would be a much better place if more people were like that man. The pain and suffering caused by dishonesty in our world is great. The summer after my mission I needed a summer job before I went back to BYU to resume school. I got a job as a car jockey at a dealership. I drove cars that people brought in for repairs from one lot to another and back. It was not hard work but I was out in the sweltering Arizona heat much of the day and it seemed like most of the cars needed air conditioning repairs. One car I got in was a 1980s minivan with a mattress on its side in the back, which meant I could not see out the back on the passenger side of the car. As I backed up I heard and felt a crunch. I thought, “Oh no! What did I hit?” as I pulled forward back into the parking space and got out of the car. There was a new gray Corvette with a gash in its front driver’s side wheel well. Corvettes (at least this 2001 one) have fiberglass bodies, which means the car body tore instead of denting. The minivan was not even scratched (not that it was really possible to tell anyway – it was old and a bit beat up). I thought of my options: I could go tell my boss or I could drive away and not tell anyone. The second choice was not an option so I went and found my boss. When I told him about the accident his first question was, “What color was [the Corvette]?” I said, “Gray, it wasn’t the yellow one [a fancy Z06 in for a tune-up].” “Oh, that’s good then. Thanks for letting me know.” And that was it. I went back to work driving cars around. Later that same boss went out of his way to find me as a driver for his wife’s car (a BMW) that was in for repairs because he trusted me. I am always glad I told the truth. It is always better to tell the truth, regardless of consequences. There is an interesting scripture in the book of Moses. It reads, “Wherefore, because that Satan rebelled against me, and sought to destroy the agency of man, which I, the Lord God, had given him, and also, that I should give unto him mine own power; by the power of mine Only Begotten, I caused that he should be cast down; And he became Satan, yea, even the devil, the father of all lies, to deceive and to blind men, and to lead them captive at his will, even as many as would not hearken unto my voice.” (Moses 4: 3-4). The interesting thing is Satan is called “the father of all lies”; he could have been called many other things (and he can be called many things) but the Lord chose to call him the father of all lies. Satan’s self-proclaimed work is to deceive and blind men and lead them down to captivity, pawns to his will and whims. All lies come from Satan; he is their creator. Those who lie preach the devil’s gospel and spread his bad word. Those who are dishonest become Satan’s children. Is not it better to become sons and daughters of God? “6 And Satan put it into the heart of the serpent, (for he had drawn away many after him,) and he sought also to beguile Eve, for he knew not the mind of God, wherefore he sought to destroy the world. [Satan thought his lying to Eve would frustrate God’s plan when in fact it furthered God’s plan]. 9 But of the fruit of the tree which thou beholdest in the midst of the garden, God hath said—Ye shall not eat of it, neither shall ye touch it, lest ye die. 10 And the serpent said unto the woman: Ye shall not surely die; [a lie]. 11 For God doth know that in the day ye eat thereof, then your eyes shall be opened, and ye shall be as gods, knowing good and evil. [This is true]. 12 And when the woman saw that the tree was good for food, and that it became pleasant to the eyes, and a tree to be desired to make her wise, she took of the fruit thereof, and did eat, and also gave unto her husband with her, and he did eat. 13 And the eyes of them both were opened, and they knew that they had been naked. And they sewed fig-leaves together and made themselves aprons. 14 And they heard the voice of the Lord God, as they were walking in the garden, in the cool of the day; and Adam and his wife went to hide themselves from the presence of the Lord God amongst the trees of the garden. 15 And I, the Lord God, called unto Adam, and said unto him: Where goest thou? 16 And he said: I heard thy voice in the garden, and I was afraid, because I beheld that I was naked, and I hid myself. 17 And I, the Lord God, said unto Adam: Who told thee thou wast naked? Hast thou eaten of the tree whereof I commanded thee that thou shouldst not eat, if so thou shouldst surely die? 18 And the man said: The woman thou gavest me, and commandest that she should remain with me, she gave me of the fruit of the tree and I did eat. 19 And I, the Lord God, said unto the woman: What is this thing which thou hast done? And the woman said: The serpent beguiled me, and I did eat. 21 And I will put enmity between thee and the woman, between thy seed and her seed; and he shall [crush] thy head, and thou shalt bruise his heel.” (Moses 4:6-21). Satan tried to lie to Eve. He tried to destroy God’s plan but he didn’t know that he was actually furthering God’s plan; what Satan did was without authority or permission but Adam and Eve partaking of the fruit was part of God’s plan – whether they eventually partook of it by themselves, or someone else gave it to them. In any case, when Satan realized that he was cursed for what he had done (he already was cursed but in this case he was upset he had not actually frustrated God’s plans but furthered them). Satan became very angry and has been ever since. He rages against God and all of us. He tries to cause the nations to rage furiously together, brother against brother, father against son, daughter against mother, neighbor against neighbor, and people against people. I do not believe that Satan is so angry that He cannot think properly – to the contrary, he thinks very clearly – but he is angry because of what he lost and angry at us mortals on earth who have opportunities for progression he will never have. And so Satan lies and deceives and encourages dishonesty in others. He knows that when we are dishonest we are not godlike or godly. He knows the pain and suffering lies cause and so he encourages them and laughs at the suffering of others. He rejoices in our failures and sins and sorrows. God does not. [The image at the top of the post is the coin I took from the fountain]. There is a phrase in the book of Acts – “cloven tongues of fire” – that describes an experience of great power. The context of the phrase is day of Pentecost. During this great outpouring of the Spirit of the Lord, many great sights were seen, many great sounds were heard, and many great feelings were felt. We read, “And suddenly there came a sound from heaven as of a rushing mighty wind, and it filled all the house where they were sitting. And there appeared unto them cloven tongues like as of fire, and it sat upon each of them. And they were all filled with the Holy Ghost, and began to speak with other tongues, as the Spirit gave them utterance.” (Acts 2:2-4). I started thinking about the term “cloven tongues of fire”. What does that phrase mean? How it is phrased in Acts makes it seem like those present saw flames around them. This might be the case but we get clarification of what this phrase means in the Doctrine and Covenants, part of the canon of scripture for The Church of Jesus Christ of Latter-day Saints. We read: “Let it be fulfilled upon them, as upon those on the day of Pentecost; let the gift of tongues be poured out upon thy people, even cloven tongues as of fire, and the interpretation thereof.” (D&C 109:36). Cloven means split. Cloven tongues are like the tongues of snakes. But in this instance, the cloven tongues refer to speaking in tongues. This is a gift from the Holy Ghost. There are at least two ways of looking at these cloven tongues of fire. On the day of Pentecost, some people spoke in tongues – plural. They said something in one language but other people heard it in another. We know this is the case: “The multitude came together, and were confounded, because that every man heard them speak in his own language. And they were all amazed and marvelled, saying one to another, Behold, are not all these which speak Galilæans? And how hear we every man in our own tongue, wherein we were born?” (Acts 2:6-8). Thus, these cloven tongues are really just that – speaking in tongues (multiple) at the same time. Another interpretation (pun intended) is that tongues are cloven because there is the message of the spoken words and the message of the Holy Ghost. These two things are not always the same thing. What is said and what the Spirit teaches us can be different. Both interpretations are correct. What’s important to keep in mind is that speaking in tongues is only effective if there is someone who can understand it or interpret it. Generally, it is not the case that the Holy Ghost will bless someone with the gift of tongues in order for them to speak some unknown language without an interpreter. That’s why people speaking gibberish purportedly under the inspiration of the Holy Ghost are not really given the gift of tongues. This is not to say that people cannot speak in an unknown language – such as Adam’s “pure and undefiled” language (see Moses 6:5-6:46) – but again, when this occurs there will almost always be someone who is able to understand and/or translate it by the same power of the Holy Ghost. The gift of tongues – even cloven tongues of fire – is evident in The Church of Jesus Christ of Latter-day Saints today as are the other miraculous events of the day of Pentecost. We have missionaries who learn languages quickly, who teach the gospel filled with the fire of God. There have been cases where missionaries or apostles have said things they didn’t know how to say in another language or that those listening understood what was being said even though they did not understand the words. What about someone like myself who served as a missionary in the United States, speaking my native English? The cloven tongues of fire is only one gift of many from the Holy Ghost. Still, there were many times when I spoke and the tongue of the Spirit spoke too – it was a fire that burned brightly within others and myself. Additionally, because of the blessings of the Holy Ghost, my command of English improved. This is not usually how we think of the gift of tongues but it can, and often is, the case that your own language skills will improve so that you can improve teaching the gospel. “Cloven tongues of fire” is a phrase that provides powerful imagery. The most important implication of it is that it is a gift of the Holy Ghost. When the power of God rests upon us we can know, feel, and do great things. This is a power that touches many but was largely lost from the earth until the Priesthood and ordinances of God were restored to Joseph Smith. The gift (not just influence) of the Holy Ghost is one of the greatest and most important components of the Restoration. The power of the Holy Ghost is real. When with us, we can receive great blessings so that we are better able to share the gospel with others and bless the lives of others. The flaming fire of the Spirit is a call to responsibility; it is a call to be lights on hills to others who are lost in the darkness of disbelief. It is a call to speak with the power of God so that others might bask in His light and love. I have a different post (different from my usual ones) that I’d like some reader feedback on (should you care to respond). I’d particularly like any critiques of my reasoning with this post. However, there is some background you need first. Read this post first to provide the context of my comments: Everyday Philosophy: Epistemological Realism vs. Epistemological Idealism. [Two people not being able to have a fully rational discussion about God without both having experienced Him] might appear circular but it certainly is not solipsistic [which the commenter accused me of being]. I am a materialist [actually a monist but I’ll use the word materialist for ease of understanding even though philosophers would be horrified at my inaccuracy]; I believe that the external world exists and can be known (that’s one reason I’m a scientist). [As a side note, Mormons tend to be even stronger materialists [again, this is using “materialism” differently than what is typical] than many other people because we know that spirit is also matter, just finer than what we experience in this world. Matter matters because that’s what there is!] I also was not making an argument [in a formal logic sense with my previous comment, which is not included here because it is not relevant to this post], I was merely setting up the philosophical structure upon which a rational discussion of the existence or non-existence of God might be built. In any case, let’s substitute pink unicorns [instead of God – the person to whom I was replying wanted to discount my statement because if you put in something fanciful like pink unicorns or fairies, on the surface, by comments then appear to be ludicrous. What I want to show is that my comments are completely rational even with something like pink unicorns put in instead of God]. Person X says, “I have seen a pink unicorn.” Can person Y, who has not seen a pink unicorn, say, “Pink unicorns do not exist”? Yes, person Y can say that but how does person Y know that? Has he omnipresently and omnisciently checked the entire universe and thus ruled out the existence of pink unicorns? No, he has not. Now let’s say that person Z enters the picture. Person Z says, “I have seen a pink unicorn.” Person X says, “That’s great! The pink unicorn I saw looked like such and such.” Person Z says, “The pink unicorn I saw did not look like that.” Person X replies, “Oh, maybe you saw a different one or maybe you did not really see one.” Person Y chimes in, “You both were hallucinating.” Person Z states, “Maybe, but it was very convincing.” So who’s right now? Person X or person Z? Maybe they are both right or maybe they are both wrong. How can they figure it out? They could try and see the pink unicorn again. If their experiences keep not being congruent then maybe someone is wrong or maybe they really are seeing different unicorns. What if person Z had seen the pink unicorn and it matched what person X saw? Then both person X and person Z can talk about their experiences with each other in a way that persons X and Z cannot with person Y. This is because person Y, having not seen a pink unicorn, does not have the personal experience that is necessary for a fully effective discussion with those who have seen pink unicorns. So who is right? Is the person who has not seen a pink unicorn right? Do pink unicorns not exist? Maybe but maybe not. Are the two people who have seen (or at least claimed to have seen) pink unicorns right? Maybe, maybe not. Let’s say that there are now 80 billion people who have not seen a pink unicorn and 1 person who has (or, at least claimed to have seen one). Who is right? Are the 80 billion who have not seen correct? Maybe, maybe not. Is the 1 person wrong? Maybe, maybe not. Can the 1 person have a fully rational discussion with any of the 80 billion who have not seen a pink unicorn? Probably not. Does that make the 1 person irrational? Not necessarily. I know that’s a lot of non-commital language but that’s the nature of empiricism (used in the broader, experimental sense and not necessarily in the sensory-based sense). That example might be severely flawed (there are some flaws: I could have expanded and added in that the pink unicorn might be invisible so you can’t see it, you have to experience it in other ways; that would lead on to another discussion about the nature of knowing, which is too long for now – philosophers have been debating this for 1000s of years). It might even seem completely fanciful, but I find this an extremely helpful argument [the one explained in the post I linked to at the beginning of this post] because it lays a groundwork of reproducibility. I claim X. I came to know X by doing Y. What does an experimentalist do? The experimentalist goes, “Ok, if I do Y, I can verify whether or not X is true.” So what if the experimentalist does Y and doesn’t find X? Does that rule out X? No, it doesn’t. Does it mean there is less evidence for X? Possibly, but it depends on if the experimentalist did Y correctly and if the experimentalist is honest. It’s also assuming that X is determined by Y, which is not the case when we are talking about God, which does not make a fully rational, experimental approach to this type of knowledge entirely possible. Not finding X does not make X false. Does finding X over and over make it true? Not necessarily but it’s easier to believe something based on X rather than base a categorical negative based on “not X”. What evidence would it take to convince you? Is there anything I could ever say on [here] that would convince you? If you are anything like me then the answers to those questions are: Personal experience; no. Personally, I don’t find philosophical arguments for the existence of God helpful (yes, some are clever and thought-provoking but so is science and so are many other things). All are flawed in some manner – including the one I just proposed above. I like real evidence. However, the evidence I have cannot be conveyed to you, it’s based on a hypothesis you have to be willing to test yourself. Would it be nice to email you evidence? Yes, but unfortunately that’s not how it works (I know some of the counter arguments, which I’ve heard a number of times: yes, really convenient, isn’t it? It’s certainly a nice “out” from providing evidence, huh?). Does that mean that I have no evidence, as you say? Not at all. You cannot say I have no evidence just as I can’t say anything about you [I had no idea who the random person I was having an online discourse with actually is]. Could I send you evidence that I love my wife or children? No: pictures or lists of deeds or even their testimonies under sworn oath of “Yes, he loves us” will not work. I might tell them I love them or I might do things for them that they interpret as motivated by love but I could simply be misleading them. So where is the evidence of my love? Is it tied completely to my actions and words? Some people argue that but I find that insufficient because I know that people can be dishonest and that what they do is not always what they believe. I also find it problematic to completely operationalize things like emotions, which love is. Observable and measurable behavior is great (and important evidence) and it certainly supports the idea of my love but it’s not the entire picture; it’s necessary but not sufficient. But I do love my wife and kids. You don’t have to believe me but you also might not believe me even if I could produce evidence of it. Furthering this discussion is useless [that’s not entirely true but it’s pretty close to the truth]. I would not believe the way I do without personal experience that verifies the truth of it. This is not knowledge I can convey to you but you could know for yourself whether what I know (or, believe I know) is true or whether I’m simply delusional, dishonest, or just misguided (or maybe all three). The scientific method will not work in this case (although some of the philosophical foundations of it apply); in order for you to find out whether or not I really am delusional you have to be willing to try a different method (one that involves faith, prayer, and a lot of work) but one with real results. I’m not dodging your request for evidence; I just cannot transfer it to you. What I can do is tell you more about how you can verify what I claim I have as evidence yourself by having it yourself. That’s much better than me telling you. Yes, I could provide examples of some of what adds to my evidence but what is the real, strongest evidence is internal and no amount of other evidence that I can provide would work. I think this is a fairer answer than you’d get from many other people because there’s no “trust me”; it’s all, “You can know for yourself”, you just have to be willing to do the experiments yourself. So how do other people come to this same knowledge? Here is one other comment I made about the process. Here is part of the method: “Yea, there are many who do say: If thou wilt show unto us a sign from heaven, then we shall know of a surety; then we shall believe. Now I ask, is this faith? Behold, I say unto you, Nay… Now, as I said concerning faith—that it was not a perfect knowledge—even so it is with my words. Ye cannot know of their surety at first, unto perfection, any more than faith is a perfect knowledge. But behold, if ye will awake and arouse your faculties, even to an experiment upon my words, and exercise a particle of faith, yea, even if ye can no more than desire to believe, let this desire work in you, even until ye believe in a manner that ye can give place for a portion of my words. Now, we will compare the word unto a seed. Now, if ye give place, that a seed may be planted in your heart, behold, if it be a true seed, or a good seed, if ye do not cast it out by your unbelief, that ye will resist the Spirit of the Lord, behold, it will begin to swell within your breasts; and when you feel these swelling motions, ye will begin to say within yourselves—It must needs be that this is a good seed, or that the word is good, for it beginneth to enlarge my soul; yea, it beginneth to enlighten my understanding, yea, it beginneth to be delicious to me. Now behold, would not this increase your faith? I say unto you, Yea; nevertheless it hath not grown up to a perfect knowledge. But behold, as the seed swelleth, and sprouteth, and beginneth to grow, then you must needs say that the seed is good; for behold it swelleth, and sprouteth, and beginneth to grow. And now, behold, will not this strengthen your faith? Yea, it will strengthen your faith: for ye will say I know that this is a good seed; for behold it sprouteth and beginneth to grow.” (Book of Mormon, Alma 32). “Behold, I would exhort you that when ye shall read these things, if it be wisdom in God that ye should read them, that ye would remember how merciful the Lord hath been unto the children of men, from the creation of Adam even down until the time that ye shall receive these things, and ponder it in your hearts. And when ye shall receive these things, I would exhort you that ye would ask God, the Eternal Father, in the name of Christ, if these things are not true; and if ye shall ask with a sincere heart, with real intent, having faith in Christ, he will manifest the truth of it unto you, by the power of the Holy Ghost. And by the power of the Holy Ghost ye may know the truth of all things.” (Book of Mormon, Moroni 10:3-5). The method thus far is want to believe. Act on that belief, read the scriptures (including the Book of Mormon), remember the mercies of Jesus Christ, really think about them, then pray to God in the name of Christ with a sincere heart, real intent, with faith in Christ. Then you will feel the Holy Ghost (Spirit) and know that what you have read and what you are doing are true. It’s simple but you have to be willing to do it just like that. That’s the method, or at least a portion of it. If it came across as preachy, that’s the way it is. I’ve done all that and have the evidence provided by God’s Spirit that it’s true. I’ve seen other things, miracles if you will, but [this site] really is not the forum for sharing those experiences. I’ve seen this process change people’s lives, all for the better. You might counter, so can therapy or X or Y or Z but just because those can result in positive changes doesn’t mean personal experiences with God are not real. There are other experiments that can be done but the process I wrote is the start and then you can go from there. You might ask, where’s the knowledge – that all seems like belief. That’s the start. Our traditional sensory experience is not sufficient for knowledge. Jesus walked and talked with people, people saw Him perform miracles, people heard Him say He was the Son of God but they did not believe him. Some did but most didn’t. Hard, sensory evidence is never enough without the feelings and thoughts and witness of God’s Spirit (the Holy Ghost). That is the primary evidence; sensory evidence (which is real too) is secondary. I know people of other religions and faiths would tell you different ways that led to their beliefs/knowledge and many claim that because I am a Mormon that I’m delusional but we’re not apologetic for our teachings. That’s the way it is. Yes, it’s audacious and bold but it’s not something that you or anyone else has to take my word for. I outlined a method by which you can verify the veracity of my words. You can take it or leave it; most leave it. But there it is. Okay, without having all the background to my comments (but with the background from The Eternal Universe post), where are the flaws? Sorry, that’s not meant as a challenge (i.e., “try and find flaws if you can!”), I just haven’t had the opportunity to really think this through all the way and I’d like to hone my approach to the issue. From the latest Mormon Identity podcast entitled Women in the Scriptures (part 1) with Robert Millet and Camile Fronk Olson. “And the eyes of them both were opened, and they knew that they had been naked. And they sewed fig-leaves together and made themselves aprons.” (Moses 4:13; emphasis added). Robert Millet and Camille Olson go on to talk about how the faithful are clothed with power from on high or clothed in the robes of righteousness. What I think was the key insight in what Sis. Olson said was her comment about how Adam and Eve saw that they had been naked and that they now needed covering. They had transgressed the law of God and so were no longer completely pure. Their covering of fig leaves was not sufficient; they had need of garments of animal skin that not only covered more of their bodies but also were symbolic of the covering of sins (atonement) the Lord provides. In other words, the sacrifice required by the animal(s) to make the coverings of skin was in similitude of Christ’s sacrifice. “I think an important piece to remember is what takes place two chapters before [the issue of the birthright], before those boys are even born. Isaac and Rebekah have been married 20 years and not had any children. Isaac prays on behalf of his wife that she can conceive a child and she does. But Rebekah is the one who feels something seems very unusual inside of her as she is carrying what – she doesn’t know at the time – will be twins. And interestingly, it’s clear in chapter 25 of Genesis she prays to the Lord and the Lord answers her directly…. It was between Rebekah and God, and God reveals to her that she is carrying two children and more than that it will be the younger one who will be the leader. And there is nothing that says she ever told anyone that or if she was given permission to tell anyone. All we know know is they [Jacob and Esau] get older; the assumption is that the elder one will receive the birthright, Esau will receive the birthright. Isaac and Esau seem to have a camaraderie, they relate to each other, it seems to be his favorite one. Rebekah feels an affinity towards Jacob and you wonder if that didn’t start even before they were born because of this revelation. “But Isaac is old, he can’t see really clearly and he is ready to give the birthright blessing. Rebekah knows what’s going to happen; Isaac has sent out Esau to get him something to eat and Rebekah springs to action to make sure that the one that the Lord wants to receive the blessing actually does…. I think there is a tremendous responsibility [about if we receive a revelation that we do all we can to make it come to pass]. We love the Epistle of James. Faith without works is dead. And we think faith and works is praying but as I read that epistle it is faith is praying with true faith but then the works are that we are willing to act on what we receive and it takes great faith in what we received by way of an answer and Rebekah does it!… Revelation from the Lord automatically assumes action [on our part]…. Well Rebekah is ready to act and so while Esau is away she puts her plan into motion. Jacob is a little concerned thinking, ‘I’ll look like I’m a deceiver.’ And Rebekah is willing to take all the responsibility. So she sends Jacob to get – the wording in Genesis chapter 27 is – ‘the goodly raiment’ that belongs to Esau. And along with this is a description of Esau being very hairy and Jacob not being hairy and Rebekah having goat’s hair put on Jacob’s hands and neck. I like how Sis. Olson points out that Rebekah was only being “tricky” because she was fulfilling revelation. Jacob was the chosen one and was to receive the birthright. Isaac recognized this finally and Jacob’s birthright stuck. Esau was not someone who held his birthright as very dear and was unfaithful to it by selling it. Jacob was faithful. Even more, Rebekah was faithful to the revelations of God. The other specific part I enjoyed of the previous quote was the discussion of the animal skin that was either that given to Adam or made after its fashion (and with the same symbolism and power). This is a teaching Sis. Olson and Bro. Millet revisit. This is similar to themes Hugh Nibley wrote about in his great book Temple and Cosmos: Beyond This Ignorant Present (The Collected Works of Hugh Nibley, Vol 12 : Ancient History) . I really like the connection Camille Olson makes between the garments given to Adam and Eve, the hairy clothing that Jacob wore at his mother’s encouragement, the special clothing Joseph was given, the garments of Elijah and John, and the Savior’s cautions about wolves in sheep’s clothing. Throughout the scriptures, the Old Testament (and Book of Mormon) in particular, certain articles of clothing have often held special and symbolic meaning. The doctrines, rites, ordinances, and practices of The Church of Jesus Christ of Latter-day Saints are a continuation of this. These garments are symbolic of priesthood power; they are symbolic of covenants; they are symbolic of the covering that Christ’s Atonement provides for us and our sins. I enjoy all these Mormon Identity podcasts but this one had a few parts that really jumped out at me. What is key to understand is that the Bible is a collection of individual books. These books were selected over the years, eventually comprising what we now know as the Bible. 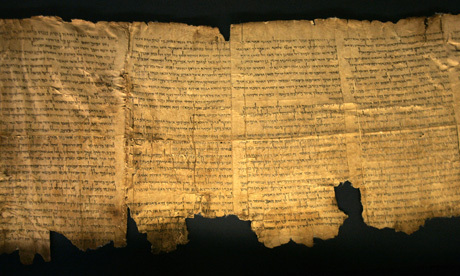 The two main divisions of the Bible – the Old and New Testaments – can be viewed as old and new covenants with the covenant people of the Lord (and with the broader world). This is not strictly true because the “new covenant” was largely the original “oldest covenant” (although there were some differences – animal sacrifice being one of them. Adam offered up sacrifices unto the Lord); when Moses was called to restore the covenant that had been lost during the years of the captivity of the Israelites in Egypt, he found that the people were slow to listen. They had grown stony hearts in Egypt, hearts that yearned too much for the deaf but permissive idols of the Egyptians. [Image source]. The Lord, understanding the hardness of His people’s hearts, restored unto them through Moses, not the covenants originally made with Adam but a new covenant of strict ordinances and laws – a covenant that would command them in many things but ultimately prepare them to receive the higher and original covenant. It was not until the coming of the Savior upon the earth that the new covenant was made (or, more closely, re-introduced). However, this new covenant was quickly lost from the earth. The priesthood, which allowed the ordinances of the covenant to be performed with true authority, was lost. The people apostatized. The covenant would not be known in its fullness until the Lord started revealing it unto His prophet Joseph Smith in 1820. That restoration took a number of years before it was complete. Our living prophet continues to receive more light from the Lord. We live in a day when we have the fullness of the gospel, a thing that never occurred before on the earth, at least not in the general and widespread manner it is today. We do not, however, view the Bible as the breadth, width, and depth of God’s words to His children. The Bible is a collection of the words of prophets. That is what makes it special! It is a record of the revelations given to prophets over thousands of years. Surely prophets received many other revelations that are not recorded in the books of the Bible! We know that the Savior taught many things are not contained within the Bible: “And many other signs truly did Jesus in the presence of his disciples, which are not written in this book” (John 20:30); “And there are also many other things which Jesus did, the which, if they should be written every one, I suppose that even the world itself could not contain the books that should be written. Amen” (John 21:25). While John was using hyperbole, the underlying meaning is true – there are many things that the Savior said and did that are neither contained in John’s writings nor the writings of the other prophets. There are many things Jesus said and did that we do not have in the Bible. This is true for all the prophets throughout history. Scrolls and tablets and other things to write on were relatively expensive and difficult to manage. Scrolls decomposed quickly, parchment was very expensive, and tablets or plates were awkward. In addition, not every one could write. Many prophets lived in circumstances where they traveled a lot or they had other things to deal with – wars and families and employment. The words and prophecies that were recorded were selected because they were the most important or they were selected because they survived time, or both. It is a miracle we have the Bible as it is! Link to part 1 of this essay. Those things that are best in our lives are the things that lead us to do good, love God, and serve Him. This does not mean that we have no time for things that might simply be good, but we do not have time to do every good thing; we need to prioritize and put the best first, as Elder Oaks said. There are many good works of art – books, music, paintings, sculptures, and so forth – that are worthwhile to read and listen to and view. There are many good activities but if they do not lead us to do good continually by serving God and loving Him, they are not directly inspired by God. Should we avoid doing and partaking of these things? No, but we should be wise consumers. “O be wise. What can I say more?” as the great teacher Jacob stated (Jacob 6:12). Quoting Elder Oaks again: “Consider how we use our time in the choices we make in viewing television, playing video games, surfing the Internet, or reading books or magazines. Of course it is good to view wholesome entertainment or to obtain interesting information. But not everything of that sort is worth the portion of our life we give to obtain it. Some things are better, and others are best. When the Lord told us to seek learning, He said, ‘Seek ye out of the best books words of wisdom’ (D&C; 88:118; emphasis added)” (Source). One thing I think is important about goodness being somewhat independent of the direct inspiration of God (i.e., not all that is merely good is directly inspired by God), is that it supports the notion of the innate goodness of humankind. I believe that people are inherently good. Whenever I look at a baby, I see that goodness and innocence. There is no sin or depravity. God created man – Adam and Eve – and saw that they were good. Adam and Eve made a brave choice in choosing to enter the mortal and dark and dreary world; they transgressed but they repented of that transgression and the Savior’s Atonement freed all humankind from the blame of that transgression. As Joseph Smith wrote in the Wentworth Letter, “We believe that men will be punished for their own sins, and not for Adam’s transgression” (Articles of Faith 2). Mankind is in a fallen state but we are not fallen creatures. We all have a spark of divinity within us. Further, all humans are given the light of Christ to provide guidance. We all know, even if it is only deep down, what is right and wrong, in part because we’ve been given this light to guide us. It isn’t until we willfully rebel against the light and force it out of our lives through sin and other wrong choices, that we become evil and depraved – not before. We are not born blind because of any sins of our parents, we blind ourselves by our disobedience (see John 9:2-3).